Before the holidays began this year, a new movie called Wonder premiered based on a book of the same title written by R.J. Palacio. This is a story about a middle-school boy named Auggie who has a facial deformity and struggles to learn to trust new friends as he begins his journey in a public school setting. He is bullied, shamed, and loses a bit of his child-like trust on this journey. More importantly though, Wonder reveals through several narrators how one act of kindness by one person can make ripples throughout an entire student population. This story really left me wondering about the way I treated my peers growing up and even now. I have asked myself, “Have I chosen kind over being right?” The answer is not always. R.J. Palacio wrote this story after her own child had an encounter with a girl with a facial deformity, and her response was to remove her crying toddler and leave. Since that moment, she has felt guilt and anger about her actions. Why? Because she missed out on an opportunity to show her child how to react in kindness. She missed out on a moment to teach her child that just because someone looks different from us, our first response should never be to run away, even though that is often easier. We should choose kindness, even in uncomfortable moments. The interesting part about how she tells the story of Wonder is that it is based on the children’s perspectives. The adults are shown through the eyes of their children which helps us understand a little more about what is being modeled in their homes. The bully in this story is shown with his parents one time, and that one moment is enough insight for us to see that he has only been told that he is never good enough. We see how a friend’s home life is nothing but a mother who drinks and is never there to support her. This friend ends up lying all the time and distancing herself from what she sees as a ‘perfect family’. These are teaching moments for how quick we are to judge others, to be right, and to justify our actions, but we are often slow to choose kindness. Wonder does an excellent job of setting up on how our negative reactions can bring another person down. As Auggie struggles to cope with overtly negative interactions, he becomes distant, sad, and disinterested in things he enjoys. The thing that changes him slowly is when one person makes a choice to sit with him at lunch. That’s it. One person showed up and started a ripple effect. I know it may seem like a fantastical set up, that only one person can have an impact, but according to relationship experts, multiple positive interactions with one person can actually make up for negative interactions. The magical ratio for positive to negative interactions is 5:1 and was originally developed by John Gottman. This ratio means that for every 1 negative interaction, it takes 5 positive interactions to overcome that 1 negative moment. How powerful is it that to overcome one negative comment we need five positive comments to feel better? Our human nature calls for us to need positive interactions on an emotional, physical, and spiritual level in order to thrive. Otherwise we simply struggle to cope as Auggie does in Wonder. I have no doubt that we can all remember a person who has hurt us and never made up for it in some way, those memories are more prominent because we need positivity to continue on. One moment of kindness changes everything within us. Teenagers are primed to be shown how to be kind, what steps it takes to stand up to for themselves or for others, and the majority want to do what is kind but may be intimidated. Wonder talks about ‘precepts’ and how these are words to live by, they’re kind of like life quotes that reflect a person’s values. 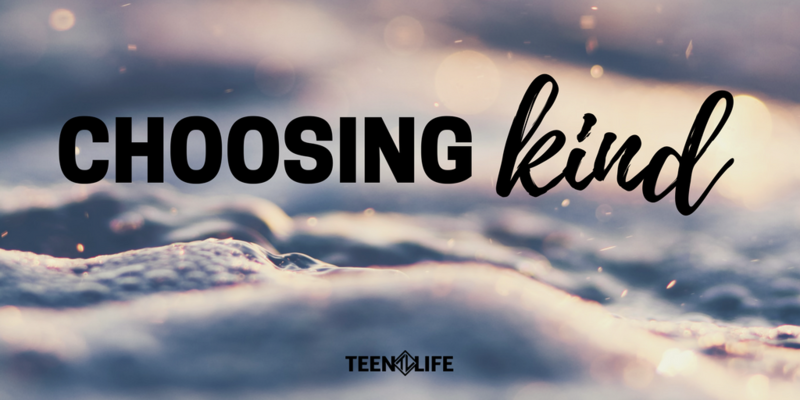 I think the easiest step to take in making a decision to be kind is to choose our own precept and then encourage teens to find theirs. R.J. Palacio even wrote a companion book to Wonder all about precepts because she believes it is important enough for everyone to understand how our thoughts speak into our words, and our words are turned into actions. NPR did a quick interview with R.J. Palacio on her inspiration which I touched on briefly. This link gives more insight into how the 5:1 ratio can be applied in a classroom like setting. Shelbie Fowler is currently a volunteer for Teen Life and has her Masters in Family Studies. She is passionate about being an advocate for family life education in order to grow families stronger.